Light is a necessity in every room. 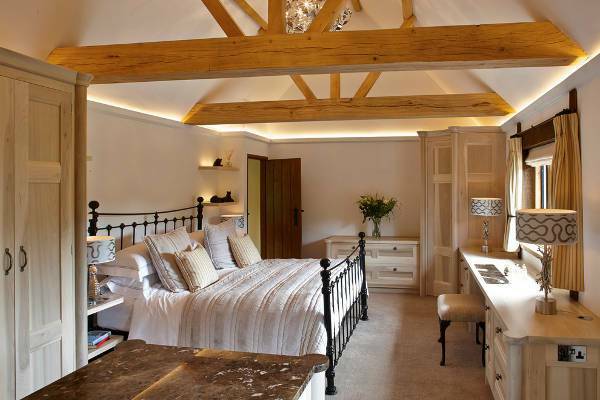 Especially in spaces where you need more light for day to day functions, incorporating unique and stylish lighting designs will make your space look brighter. 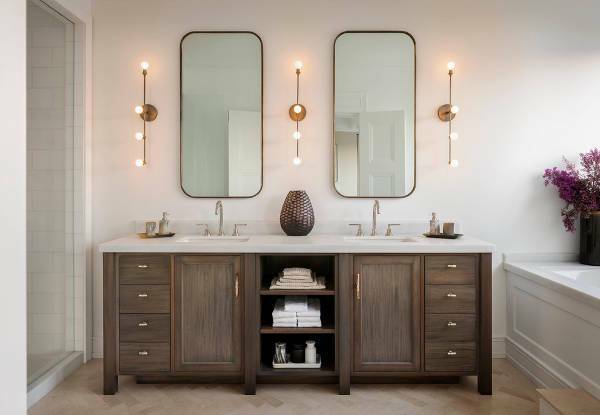 For this reason vanity lights are a great way to further intensify the style of the space while providing sufficient light. In this post, you will find a collection of vanity lights that we put together for you in order to help you. For a makeup vanity you need lighting that will eliminate the shadows in the contours of your face. 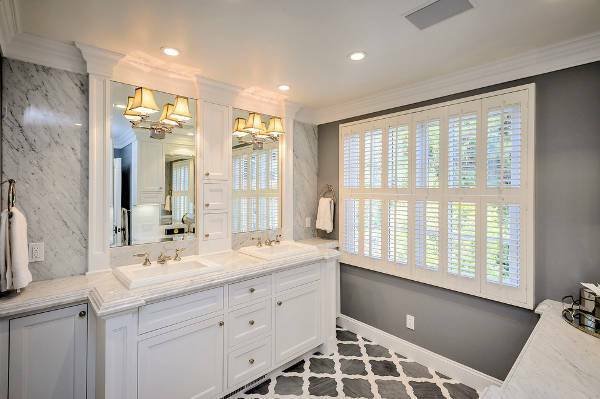 You can go for an elegant mirror design with built in light fixtures or a set of light bars to add personality. Iron, stainless steel and oil-brushed bronze are only a few of the materials used in industrial lights. 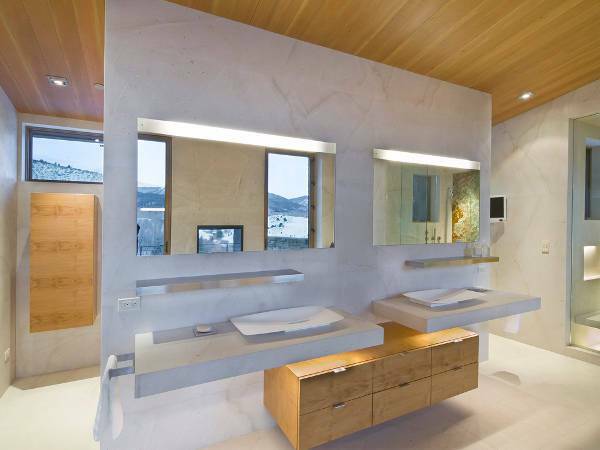 These designs have a sophisticated aspect that looks incredible in industrial and contemporary bathrooms. Metallic designs are considered to be trending this theme. 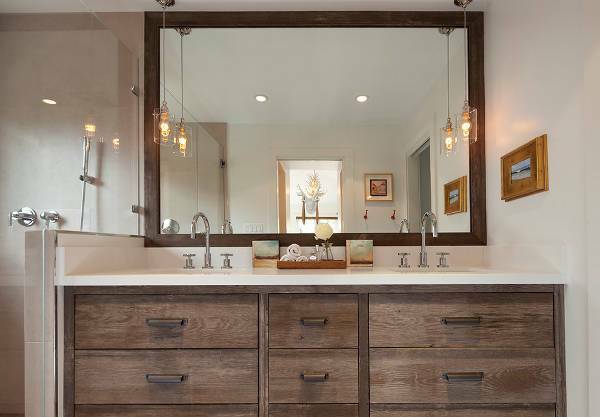 Shapes are leading the trends when it comes in modern lighting fixtures for vanities. Squares, spheres and cylinders will bring a compact look in your bathroom while adding elegance. Choose a design with frosted or stained glass for extra personality. If do a research across the web you will find many different diy projects for vanity lights. The most trending designs come with a variety of rustic and industrial materials like wood, glass and metal to create fantastic designs yourself. For a sophisticated design in your bedroom you can install a set of wall lights on each side of the vanity’s mirror. You can choose the design based on the room’s style in order to add depth and extra character. Crystal and glass enjoy a great compatibility with metal. The contemporary style demands elegance and simplicity at the same time. 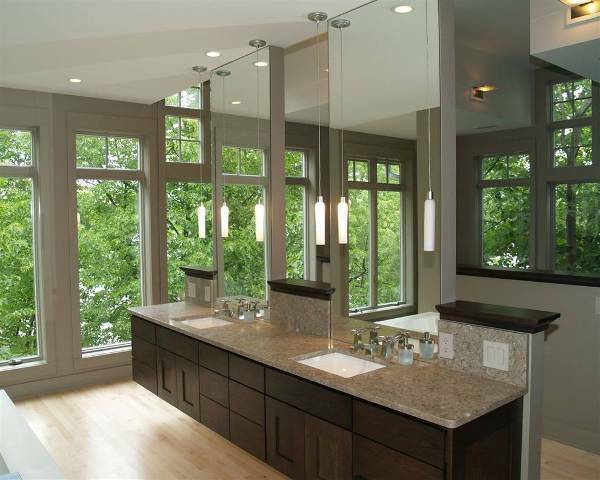 You can achieve that with a designer vanity light that you can place on the sides or above the mirrors. Incorporating an embellished design for your vanity’s lighting will give you a classic style that can also be found in outdoor lighting. 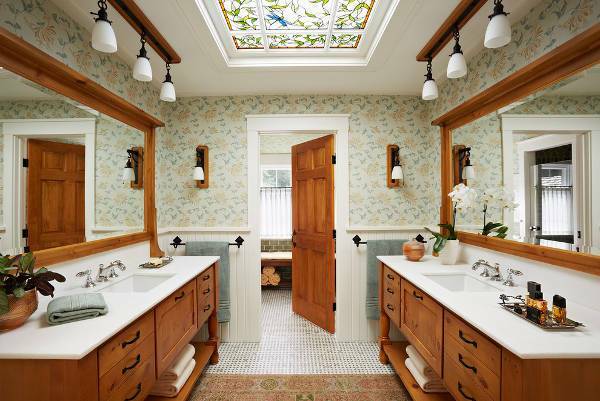 Vintage lighting fixtures have a timeless beauty that can bring a pleasing design for your bathroom and bedroom. Crystal lights are the epitome of luxury. You would want to go for a luxurious design in order to bring an expensive look in your space. Many lighting fixtures integrate classic designs with modern style bringing you an everlasting beauty. 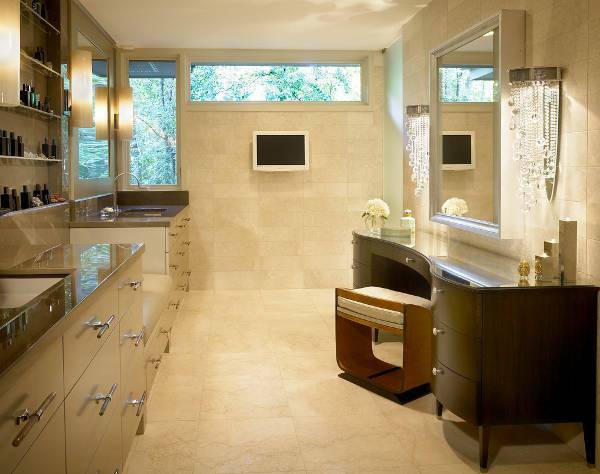 Hanging vanity lights will give you the opportunity to accentuate you vanity. 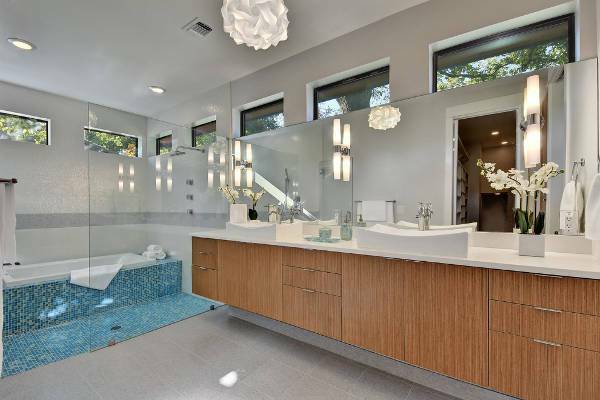 You can go for a dazzling design with crystals or for a frosty glass design that will make you space look stylish shedding ample light to cover your needs. Track lights will help you get the right amount of light the moment you need it the most. 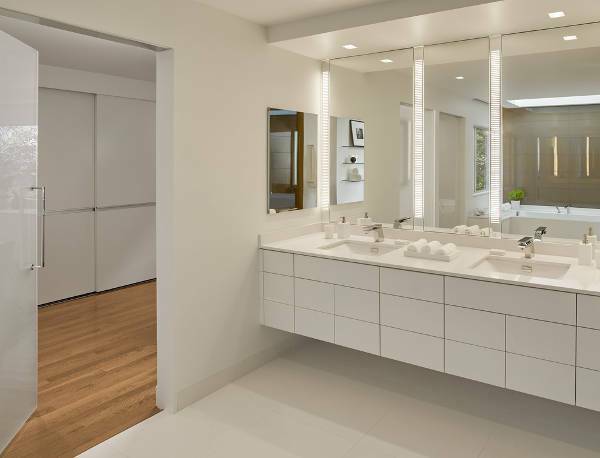 These light fixtures can be adjusted at any moment while they will give an exhibit style in your bathroom’s vanity area. Combine modern aesthetics with classic beauty. 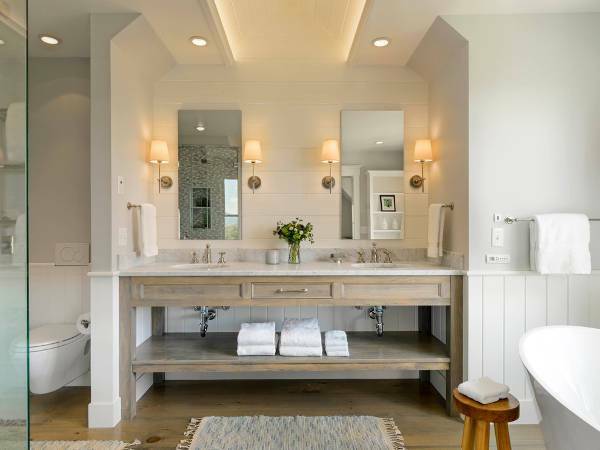 Most vanity light fixtures have a decorative design that allows you to incorporate various materials in one space. You can also make a difference by using wall scones in a classic look bringing a pop of color in a monochrome space. 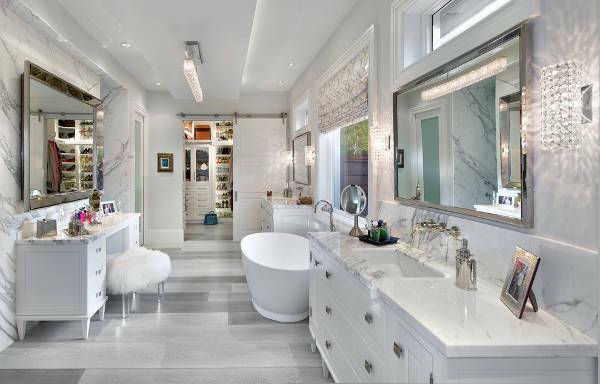 Depending on the size of the room you can choose the design that integrates sophisticated glamour while obediently following the room’s size for optimum results in a bathroom. 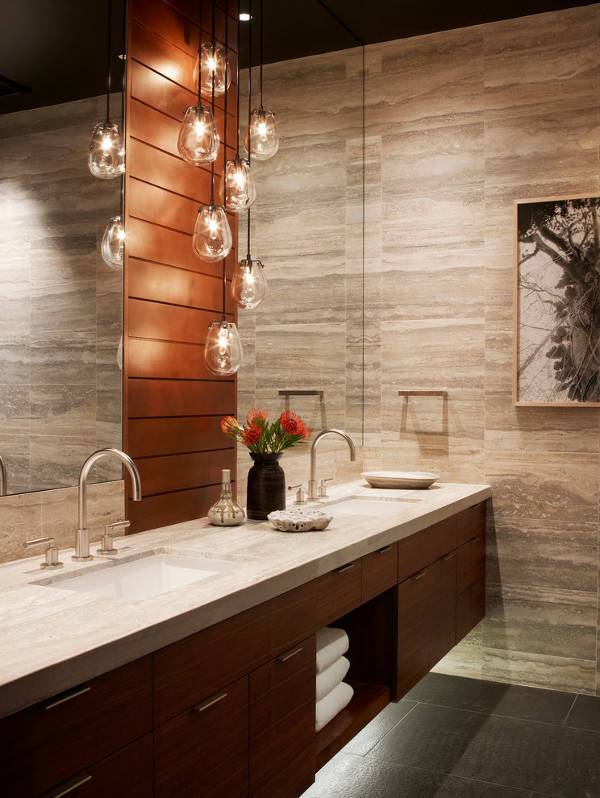 From light bars to wall lights you can find a plethora of designs to incorporate in your bathroom lighting. It is important to be able to apply your makeup or shave with precision without worry about the light. Add a dose of charm in your space with the right lighting.